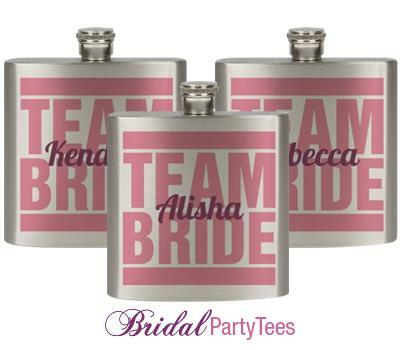 Custom flasks are great bridal party bachelorette gifts for all the bridesmaids and the bride. Personalize each by changing the name to reflect that of the recipient. 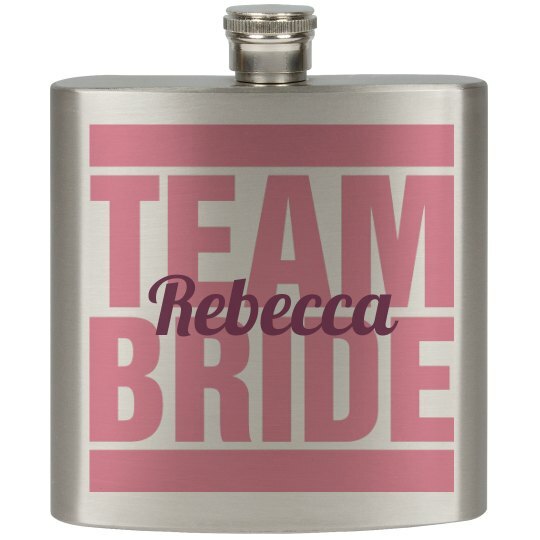 Cheers Team Bride!